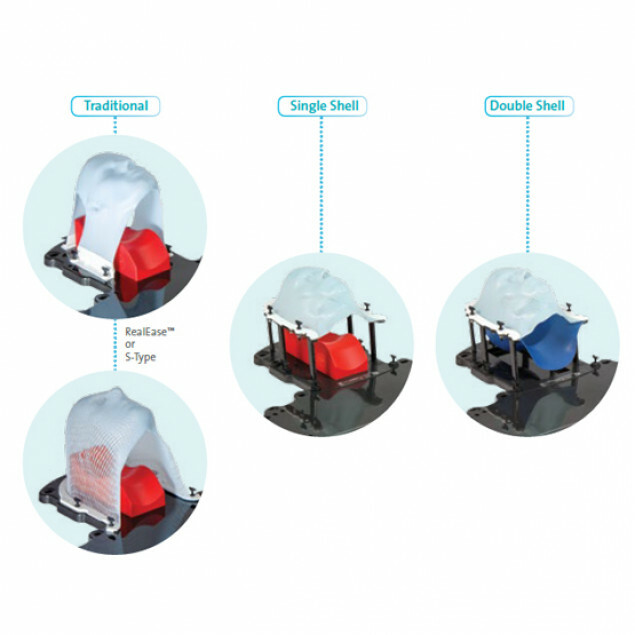 The MacroMedics® Single Shell Positioning System (SSPS®),helps increase stability for head, neck & shoulder positioning. 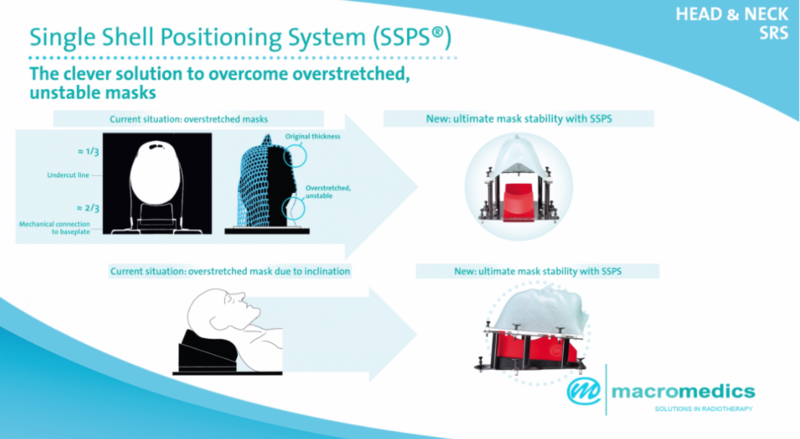 Based on an accurate mechanical principle, the SSPS distinguishes itself from existing head, neck & shoulder systems and presents a completely new approach to help set-up stability in the head & neck region*. 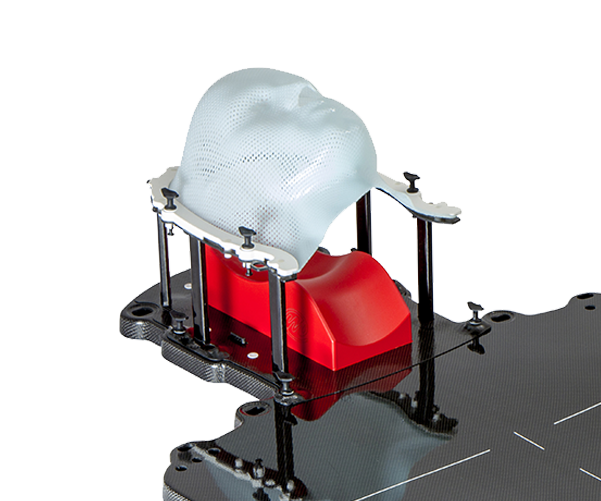 With current thermoplastic mask systems the mask material can become overstretched. 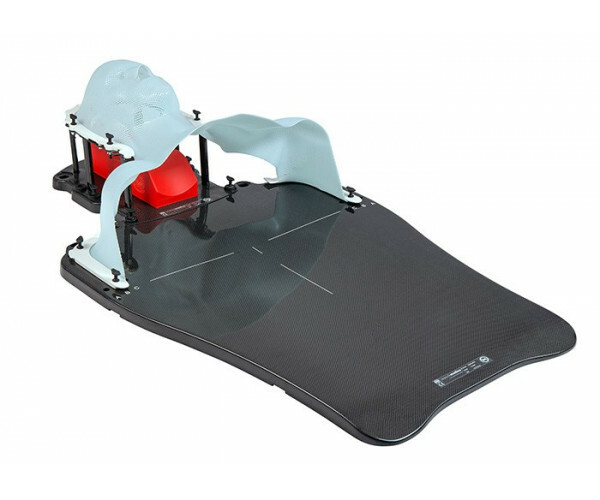 This may result in thin material and thus less stable patient set-up. 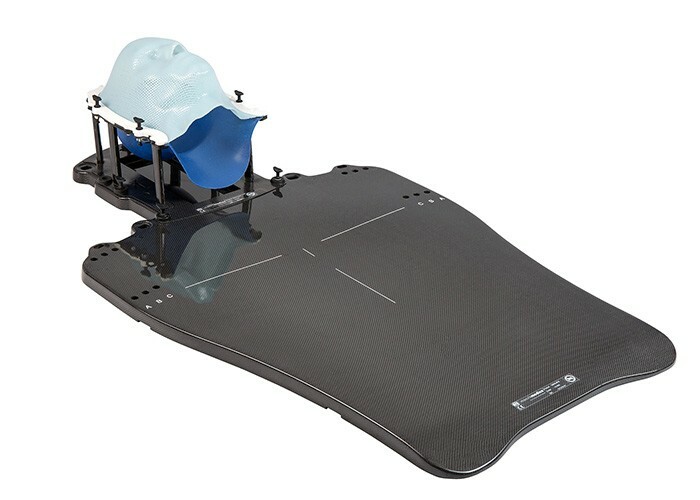 The solution: the new Single Shell Positioning System (SSPS) that focuses on the patient´s facial contours which are relevant for a precise repositioning, in combination with a very rigid and direct connection to the baseplate. 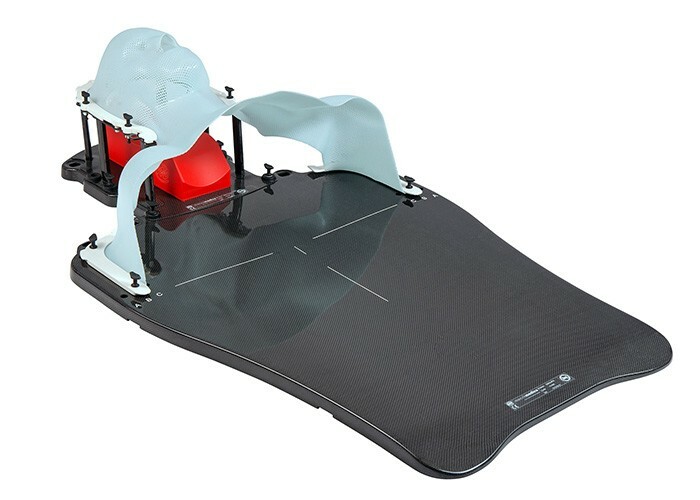 The ultra-light and extremely rigid cradle can be connected to the baseplate in seconds and forms a strong and rigid link between mask and baseplate. 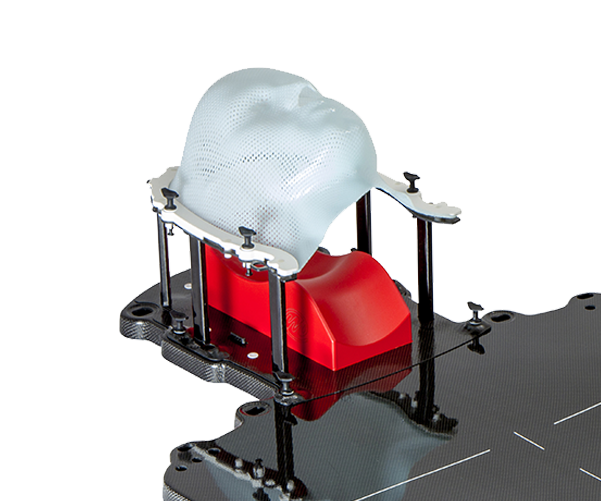 The mask is limited to the relevant boundaries of the patients facial contours. As it only needs to be stretched towards the cradle rim, the mask remains compact and will not be overstretched. This will clearly contribute to the stability of the patient set-up. 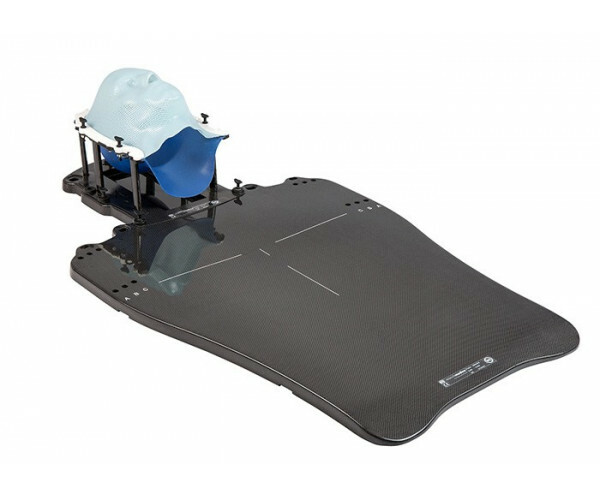 The SSPS differentiates itself by an improved mechanical approach resulting in better rigidity in the positioning system as a whole. It combines easy handling with increased set-up stability. 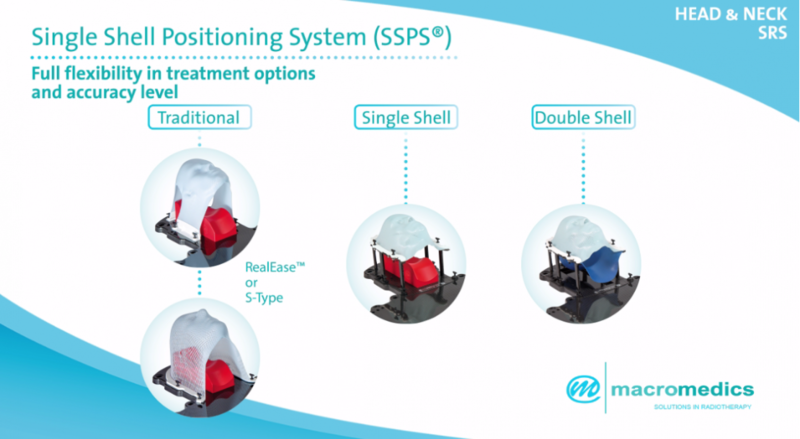 "Single Shell Positioning System MacroMedics SSPS Mechanical Advantages"